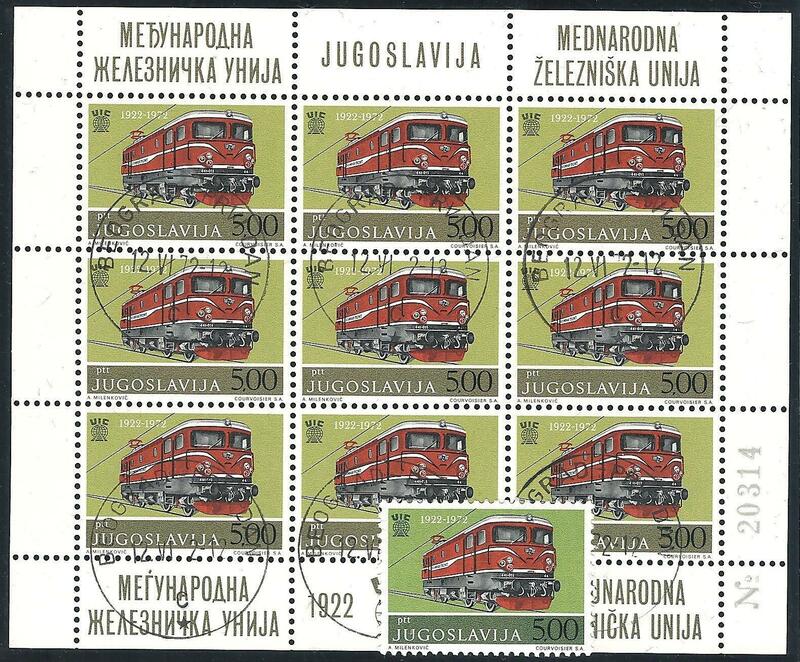 ●,1470 F (9),Fiftieth Anniversay of the International Railway Union. Value of 5 Din. with olive-green background (instead of green) in a miniature sheet cancelled by the First Day Cancellation, Mi. € 1.350,00. Normal stamp added for comparison.